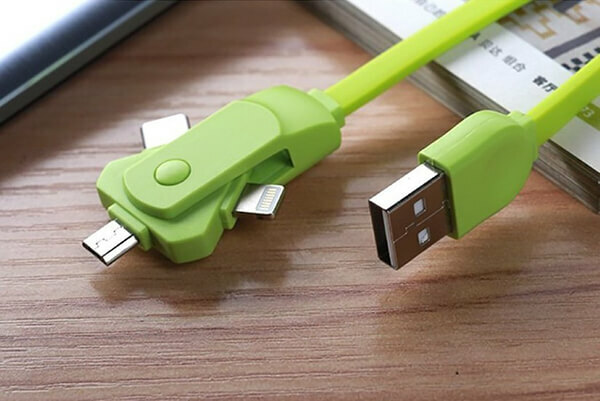 How many charging cable you have on your desk? 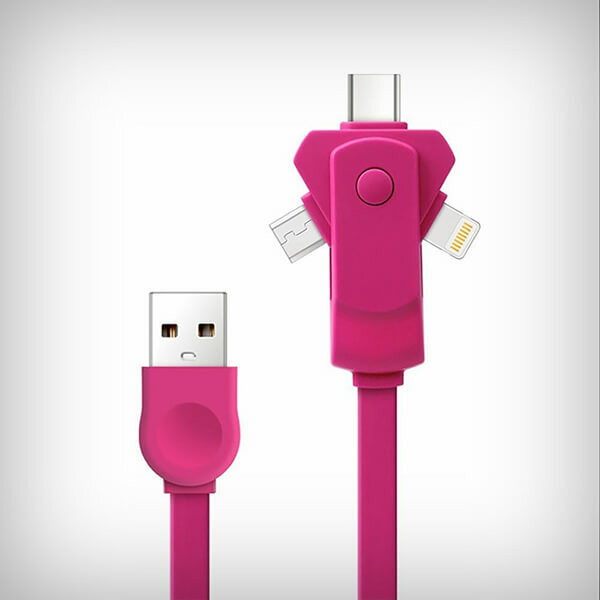 There are two for me (lighting and micro USB) constantly and one more when I need to get access to some USB devices. Kind annoying right? And it for sure makes my messy desk even messier. But what we can do with that? We have so many devices and they have have their own way of charging. 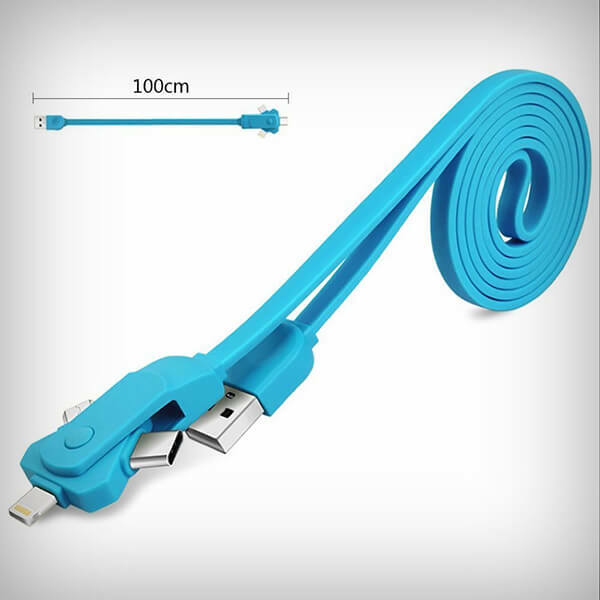 However, there’s an elegant solution for all of us out there in the Swivelcord 3-in-1 charging cable. 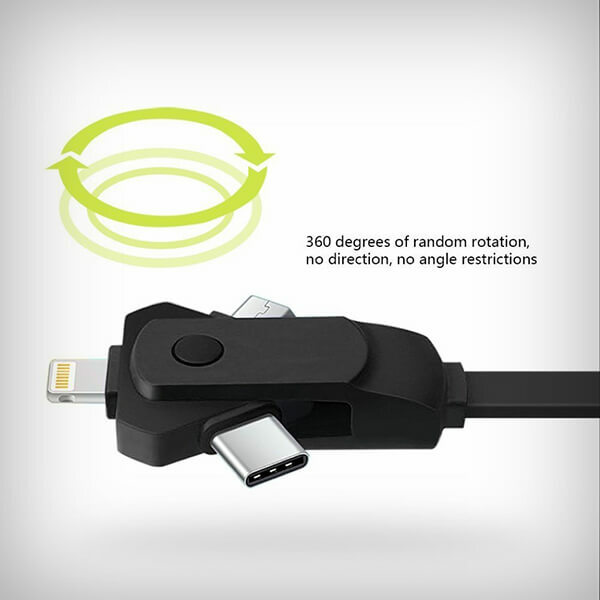 Designed to look more like a stylish universal charging cable than an onslaught of adapters. 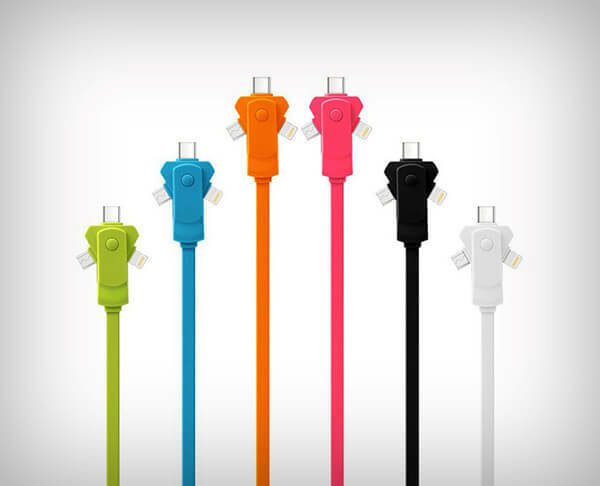 The flat cord is virtually impossible to tangle, faring much better than regular cords, and comes in a variety of colors. 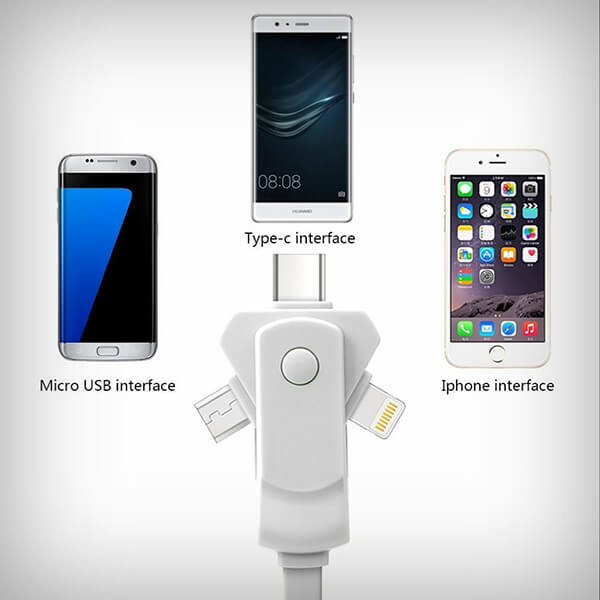 The USB jack on one end represents the standard, while the other end features a rather quirky swiveling hub with a MicroUSB connector, a Type C connector, and a Lightning connector. You rotate the mini-hub to select the port you want to use and go ahead with your day. Sounds great right? It does work prefectly with small devices like phone but work slow for large devices. Moreover, due to three rotatable hub design, it might not fit with some bulky phone cases. Next story What’s Inside River Stone? Let’s Unzip It!